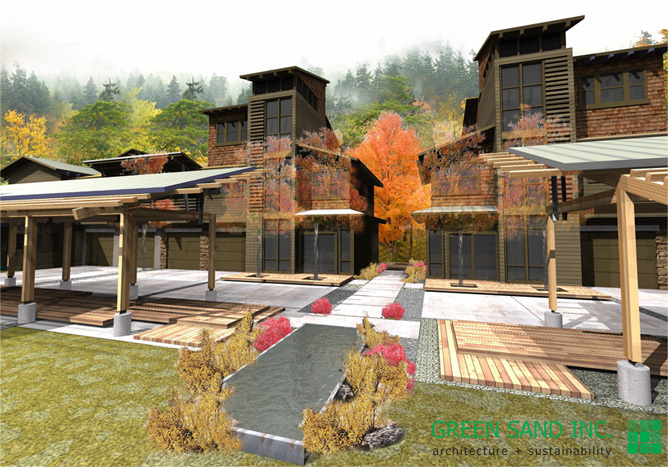 Green Building, What’s the Big Deal? Going Green has had a shaky reputation in the past with skeptics as being only for tree huggers and hippies (sorry if I offend anyone). In fact, when I first proposed the idea of becoming a Green Builder, I got a few raised eyebrows in my office. As a company in business for over 40 years you can bet that they have a set way of building, and the “old timers” aren’t accustomed to the idea of Reduce, Reuse, Recycle (again, no offense). But honestly, it’s just a misunderstanding of the definition of going Green. We actually already employ many aspects of green building we just never got credit for it. Reduce Quantity – creating less waste by right-sizing, prefab wood products, and advanced framing techniques. Enhance Durability – selecting material with long life span, managing moisture, insects and decay. Material Composition – choosing sustainable material, for instance Engineered Wood Products like plywood, OSB, Glulam, prefab wood joists, finger jointed studs and/or composite materials like Hardy Siding or prefinished materials. Also choosing rapidly renewable materials like bamboo, cork, linoleum, cotton and wood are options. The more extreme material composition check list can include recycled, recyclable and reused products. Proper Handling of Material and Waste – accurate estimates and cut lists, and a construction waste and recycling plan. Conservation – properly sealing whole house with air barriers, insulation, Low E glass, whole house fans. Efficient Consumption – don’t oversize your AC system, energy efficient windows, Energy Star appliances, LED or CFL lighting and fixtures, on-demand heaters, solar water heating. Alternative Energy Generation – passive solar, active solar, photovoltaic, wind generated power. 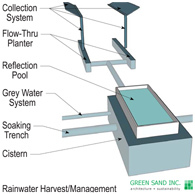 Low flow fixtures, irrigation systems, rainwater collection and distribution, gray water use, sustainable landscaping. Proper ventilation, HEPA filters when needed, properly sealed home, no off-gassing from wallpaper, carpets paints, etc. Giving owners their manuals for products placed in the home, offer recycling and utility programs, educate owners on energy efficient lighting, water and general energy conservation. Others are public transportation, proper maintenance of new home products, using relative humidity where needed, creative and native landscaping, avoiding hazardous materials and using organic products. SEE? It’s not that hard!!! The National Green Building Standard developed by the NAHB and International Code Council is the code we follow for being a Certified Green Builder. 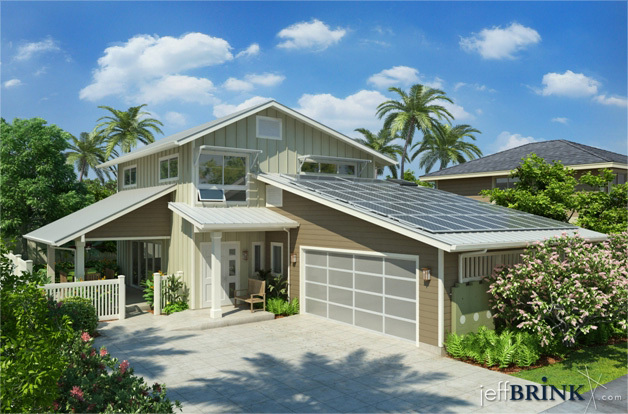 It is the standard although there are other rating systems out there such as LEED and Energy Star. However they do not meet the benchmarks of the NGBS. NGBS is a much higher standard. The National Green Building Standard (NGBS) has 4 tier rating system. Homes can be certified: Bronze, Silver, Gold, and Emerald. Describing the point system and all the requirements would be lengthy and confusing to blog about here. If you are interested I’d be happy to explain it to you later. Otherwise, let us worry about the details of the rating system. There are also Green Building Standards for remodels. So you don’t have to build your house from scratch to get the points offered. These figures are based on homes costing $151,745-$172,745 and exclude registration, certification and verification; those costs run about $1500 per verification and 2 are required for certification. And since Kauai doesn’t have a verifier, yet, air fare from Oahu should be added to your verification cost. Some people want to save the environment and others just want to save money on electric and water bills. Don’t forget the cost benefit of using natural resources like solar heating, photo voltaic electricity and water catchment. There is a place for everyone to comfortably fit into the spectrum of Green. Whether you want a garden bed on your roof top, rain catchment and photovoltaic system where KIUC pays you! Or you want to make sure your AC is running efficiently, windows and doors are sealed, energy star appliances and bamboo flooring, there’s something for everyone. And you can brag to your neighbors. The County requires certain aspects be implemented so you’re going to pay for it anyway. And, Local, State and Federal incentive programs are very helpful in cutting the cost of other products. Working with a Licensed Contractor, as a Certified Green Builder will help you get the best possible results for your taste in Green Building. We’re here every step of the way.